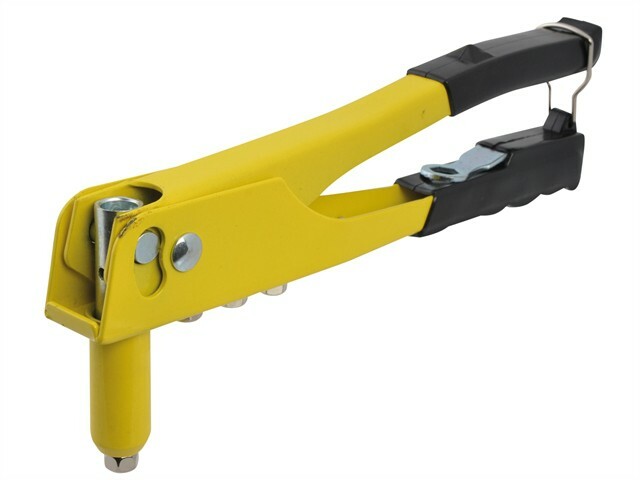 Heavy-duty hand riveter with easy to change heads. Complete with spanner to change the heads. 4 x interchangeable tips: 2.4, 3.2, 4.0 and 4.8mm. 60 x Rivets: 2.4x6mm, 3.2x8mm, 4.0x8mm, 4.8x8mm.